comfy sews VS cozy knits is back for a spring/summer edition! 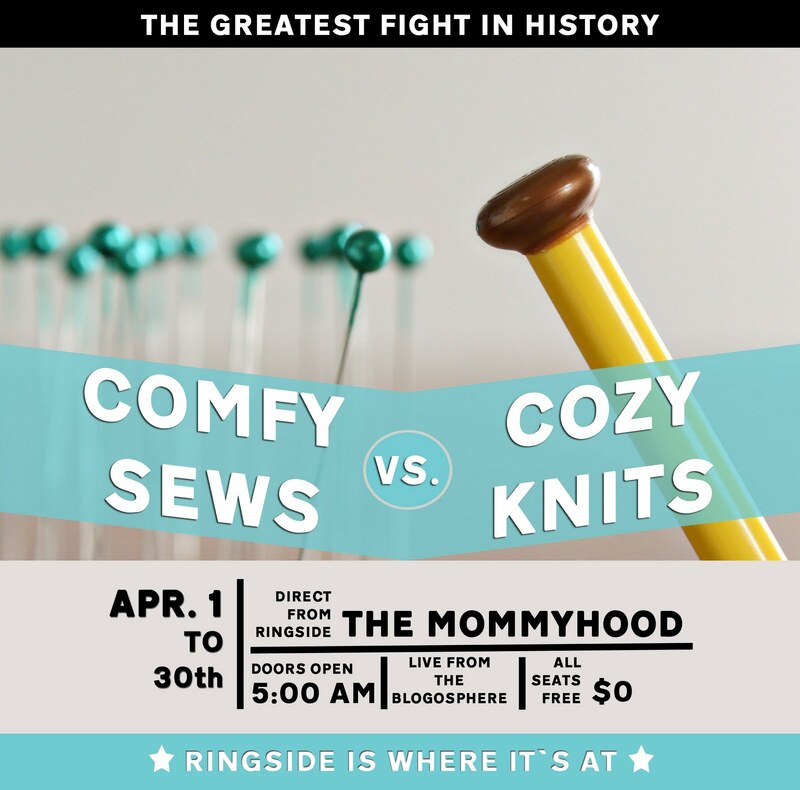 a month filled with talented & inspiring guest tutorials & patterns, and fun and fiesty roundups where sewing & knitting battle it out in a virtual boxing match that you vote on! which corner of the ring will you be in? This is so exciting!!! I can't wait to see all the tutorials and patterns!!! Thanks Kris!! Can't wait for you all to see them as well! you are the 'round-up queen', perfection! !